Entries are accepted until April 20. 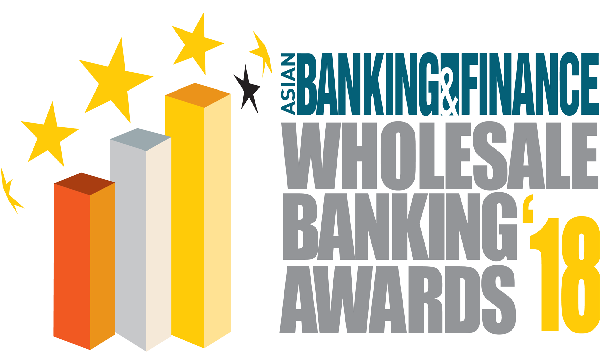 Asian Banking and Finance will be holding the 7th Wholesale Banking Awards this year as it pursues to give due recognition to banks that strive to give the best products and services to its clients despite facing various market challenges. Asian Banking and Finance is proud to announce that the Wholesale Banking Awards 2018 is now open for nominations. In 2017, the awards dinner gathered 260 banking executives and acknowledged 47 winning banks from 30 countries. Send your nomination this year for a chance to be one of our esteemed list of winners. Exemplary projects under the following categories are accepted: Cash Management, Trade Finance, Project Finance, Technology & Operations, and Foreign Exchange. Entries will be judged by a set of banking and finance experts. The deadline for submission of nominations is on 20 April 2017, Friday. The Awards dinner will be held at the Shangri-La Hotel, Singapore on July 2018. For more information, contact Julie Anne Nuñez at julie@charltonmediamail.com or +65 3158 1386 ext 221. You can check out the 2017 list of winners here and the 2017 Awards dinner photo gallery here.